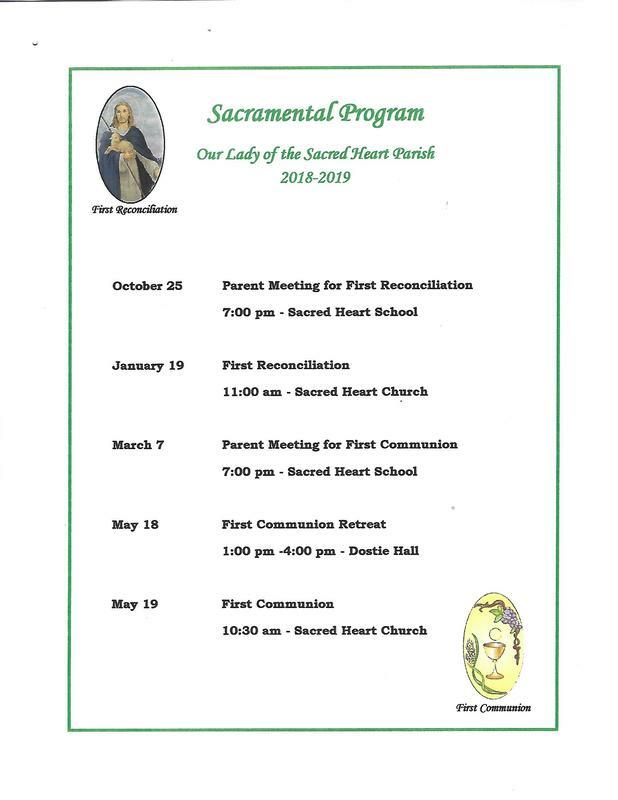 At Our Lady of the Sacred Heart Parish Religious Education classes for students in grades K-8 will begin September 2018. Classes are held at the school from 9:00am - 10:15 am. Our program utilizes the Be My Disciples series published by RCL Benziger Company. This innovative new program leads Catholic students and their families to grow in their conversion to Jesus Christ, develop habits of discipleship, and live as active, committed members of the Catholic Church. This program is approved by the United States Catholic Conference of Bishops and by the Christian Formation Dept. of the Diocese of Ogdensburg. It uses a spiral approach so that each year student are introduced to new concepts and the understanding of previous topics is deepened and reinforced. Students receive the sacraments of Reconciliation and Eucharist for the first time in 2nd Grade. This is their focus of study for the year. Parents are expected to attend two parent meetings, one in the first semester and one in the second semester. 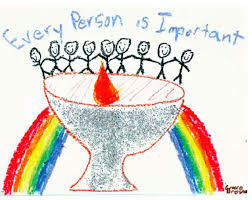 Family Catechesis is an opportunity for parents and other parishioners to gather for continuing education in the faith. Families join together for prayer and then separate for age appropriate presentation/class. Please Note: occasionally we change times to attend special programming. We will inform you of this change a couple weeks in advance. We will also be sending emails to the students to inform and remind them, should they be absent or forget.